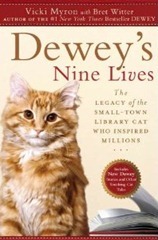 Dewey: The Small-Town Library Cat Who Touched the World was a blockbuster bestseller and a publishing phenomenon. 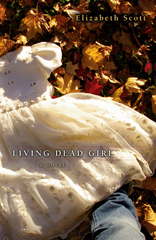 It has sold nearly a million copies, spawned three children’s books, and will be the basis for an upcoming movie. No doubt about it, Dewey has created a community. Dewey touched readers everywhere, who realized that no matter how difficult their lives might seem, or how ordinary their talents, they can-and should-make a positive difference to those around them. Now, Dewey is back, with even more heartwarming moments and life lessons to share. Point 1: Some overlap. I purchased the first book so did expect some overlap in the recounting of Dewey’s related stories, but it’s hardly noticeable. 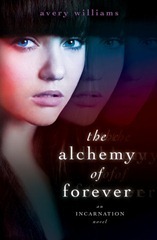 It just gives the book an air of familiarity. Point 2: Immensely readable The prose style is casual, much like a friend telling you a story. Point 3: Surprisingly heart-rending. I expected to smile, perhaps giggle, while reading, but I never expected to cry (at least, not as much as I did). A compilation of nine stories recounting how some very special cats (Dewey included) entered into and changed the lives of their owners. The stories include: Dewey and Tobi; Mr. Sir Bob Kittens (aka Ninja, aka Mr. Pumpkin Pants); Spooky; Tabitha, Boogie, Gail, BJ, Chimilee, Kit, Miss Gray, Maira, Midnight, Blackie, Honey Bunny, Chazzi, Candi, Nikki, Easy, Buffy, Prissy, Taffy…and more; Christmas Cat; Cookie; Marshmallow; Church Cat; Dewey and Rusty. I won’t lie, I’m a cat person. It’s why I purchased (read and loved) “Dewey: The Small Town Library Cat Who Touched the World” and jumped at the opportunity to read “Dewey’s Nine Lives”. While I prefer the original Dewey book, I still enjoyed reading these individual stories. But, to be frank, I couldn’t read them all back to back. 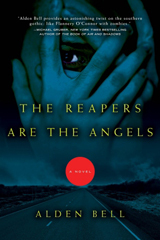 The writing style was casual and easy to digest, quite like a friend retelling a story, although sometimes it became flat, like a reporter recounting the straight facts. No, it wasn’t the writing that kept me from reading the stories one after another. It was their heart-rending natures. Going in I expected to smile and giggle at all of the kitty antics—and I did—but I didn’t expect to cry as much as I did either. Right off, in the first story, Dewey’s passing hangs heavy. And maybe I’m oversensitive because as my kitty ages, I think about her inevitable passing (I pray well into the future). But even as depressing as some of the stories were, they contained a measure of hope and even some wisdom. It’s also worth mentioning that if you’re looking for a book filled with Dewey stories, this isn’t it. While Dewey plays a role, larger in some stories than others, they are mainly stories about other small town folks who’ve had their lives changed by a cat. This book is best suited to cat lovers or people who enjoy sentimentality, but I’d caution you against reading it if you have an aging cat or have recently lost one; some of the stories might push you over the edge, especially Tobi’s and Cookie’s. I just finished reading “Dewey” the small town library cat who touched the world. I just recently lost my sweet Nikki kitty after she was with me for 17 years. This heartfelt story shared the emotions and experiences that I also had with my kitty. Thank you Vicki Myron for such a wonderful book…I cried, I laughed…I just love our kitties.